Introduction by Sarah Ward: One of the most friendly and comprehensive water conferences, the Water Efficiency Network Conference, yet again exceeded all expectations and delivered an impactful, industry-grounded and state of the art knowledge exchange experience for academics and practitioners from across the globe. Having been involved in WatefCon in various guises since its inception, experiencing its first sojourn to an international location was both exciting and rewarding. The organising committee outdid themselves in providing unique local experiences and internationally leading research, making the 2.5 days a well worthwhile undertaking. The highlight for me was the session on water labelling – I knew this was being considered throughout the EU, but didn’t know the detail. My knowledge was significantly enhanced thanks to the high profile presentation by Dr Carlos Velazquez, of the Roca Group and lead representative of the new EU unified water label, who travelled from Barcelona to Aveiro especially to participate in the session. It also had one of the best panel sessions I’ve seen, with prestigious speakers from a range of organisations, including the Bathroom Manufacturers Association and ADENE, the Portuguese National Energy Agency. As well as attending, chairing an excellent session and launching a video for the Watef Service Innovation Technical Committee, based on a Masterclass on water sector wholesale/retail separation (‘market opening’) in England, I had the pleasure of facilitating the attendance of UWE Bristol PhD student Karen Simpson and MSc students Joe Thomas and James Dunn, who provide their reflections on their experiences below, including on presenting their research to an international audience (presentation and posters, respectively). 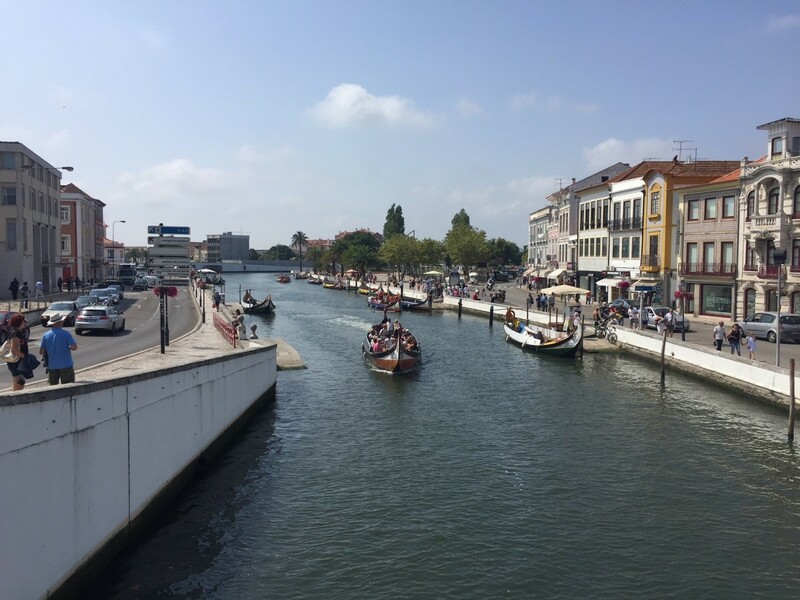 Joe Thomas: Situated on Portugal’s west coast, the quaint city of Aveiro was an idyllic location for the fifth Water Efficiency Conference. The beauty of the picturesque city, well known for its salt mining and fishing traditions, was more than matched by the university, which provided a dynamic and innovative setting for various workshops and talks. The reception from the event organisers and local people was very welcoming, and the friendly hosts were quick to provide a range of delicious local cuisine, which predominately featured fish followed by Ovos Moles de Aveiro, a Portuguese sweet comprised of egg yolks. The theme of this year’s conference was the future of water in Europe, with particular attention to the best practices at local, regional and global levels. The conference provided some intriguing presentations from a wide range of people, including PhD students and industry leaders. This provided a great opportunity to meet a mix of people from research and industry backgrounds, and engage in follow-on discussions about the challenges threating water security worldwide and the creative solutions to address these. I was particularly interested by a talk which explained the research investigating farms in Germany which convert wastewater into water fit for irrigation purposes. The study explored the concept of collecting wastewater and biologically treating it to become hygienically safe so it can be used to grow lettuces and cucumbers. The tests were deemed successful as the salad was considered safe to eat, although it was recognised that an accumulation of microplastics, via shower products such as shampoo, had built up within the plants. I was also fascinated by the Reducing the Energy Dependency of Atlantic Area Networks (REDAWN) project, which brings together partners from 15 countries to improve the water network energy efficiency of the Atlantic, by establishing a network of micro-hydropower technology to recover wasted energy from existing pipes used for irrigation, wastewater and industry. My personal involvement in the conference consisted of a poster presentation, where I informed people on my research into public water provision in the U.K. For my Master’s degree at UWE, I am currently investigating the role of public drinking water in addressing environmental problems, including reducing plastic waste, and social issues such as the high consumption of unhealthy, sugary drinks. These publicly available water offerings may exist as public drinking water fountains or as alternative schemes, such as the ‘Refill’ project which encourages business, restaurants and cafés to provide free drinking water to the public. This conference therefore provided me with an excellent opportunity to share my research with other academics and consultants, who took a particular interest in my work and gave me some beneficial feedback. James Dunn: Through my MSc work placement with the International Water Security Network (IWSN) in partnership with Bristol Water, I was given the opportunity to attend the Watef Conference to present some of my research findings and learn more about similar work from some of Europe’s foremost academics and business leaders in that field. The event spanned three days and was hosted at the University of Aveiro on the west coast of Portugal. 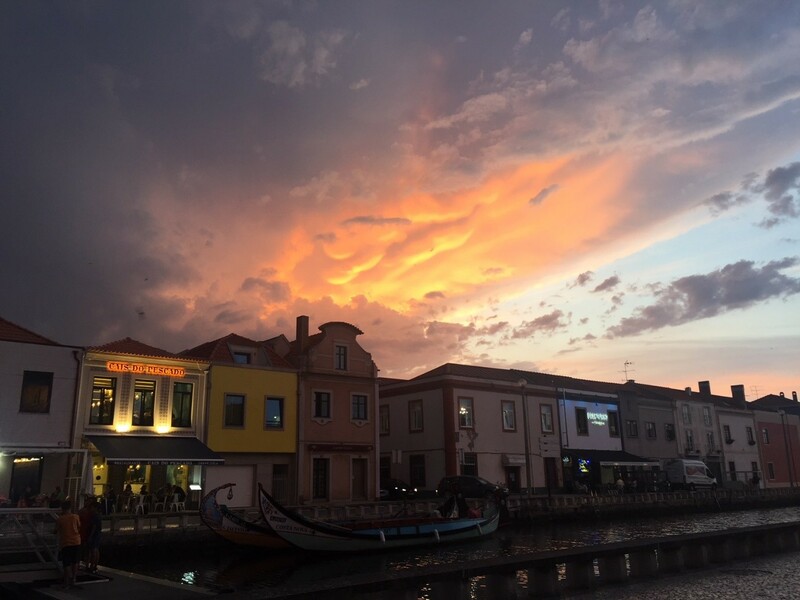 The city of Aveiro boasts a rich history of art, food, architecture and ties to the ocean. Its labyrinth of canals – once used for the trading of fish, salt and seaweed, and flanked with the colourful art nouveau style buildings of the area – made for a picturesque visit and seemed very fitting for a conference on the subject of water. The conference itself was attended by around fifty people from a plethora of different backgrounds, with whom I was lucky enough to discuss their work – as well as my own – on Big Data analytics, and understand how my findings may be further applied to the water utility sector. Many shared an awareness of and interest in the subject area I was investigating, and for those who didn’t, the various networking events gave me a fantastic opportunity to inform them of the recent advancements in analytical techniques and consider how they may also benefit from them in the context of their work. Over the course of the conference there were several lecture theatre sessions, consisting of topical addresses from keynote speakers – including Prof. Carlos Borrego and Prof. Francisco Arregui – followed by in-depth discussions among a panel of experts, who would then field questions from the audience. Of these sessions, one in particular stood out to me. On the last day of the conference I attended the talk: ‘New trends in high frequency water demand monitorization and analysis: experiences and challenges.’ Within this session the subject of demand forecasting arose, which is an area I have been researching for the application of Big Data analytics. Many of the experts and members of the audience saw great value in the ability to predict and prepare for increasing water demand, for which the adoption of Big Data analytics may be particularly preferable. These sessions were interspersed with more intimate sessions in which several experts would lead individual seminars on their most recent work and where they envisage this work may progress in the near future. For me, the most significant of these was a talk given by Paul Wills on the development of low-cost flow sensors using accelerometers. As much of my research has centred around the ability to decipher new information and value from water quality and asset performance data from different forms of sensors, I found it interesting to hear about how new innovations in this area may provide further, potentially valuable data to be analysed. In fact, in several talks with Paul we discussed the possibility of replacing certain forms of conventional sensors with these newer, innovative models, thus potentially reducing the quantity of data needing to be analysed. Overall, I found WatefCon to be an incredibly rewarding and insightful experience. It gave me a great opportunity to discuss my work with experts in the field and gauge where they see Big Data analytics to be useful, as well as what they might expect from such techniques. Of the group conversations that I witnessed and contributed to, I found them to be extremely welcoming and positive. I saw particular merit in the discussion of ideas between academic researchers and those more business-minded individuals, which offered fresh perspective to all involved. Karen Simpson: WatefCon 2018 was my third Water Efficiency Network conference, but my first overseas conference and my first as a presenter. I was feeling nervous about presenting my work in the final session on the last day, but the friendly, supportive and intimate atmosphere across the conference helped to settle my nerves. I took the opportunity to describe the first phase of fieldwork that I conducted in Spring 2018, and to highlight some of the challenges I faced with researching in the messy social world. My mixed methods PhD research is investigating the water demand of showering routines of students living in university accommodation, and exploring practical behavioural and social change interventions that could reduce water consumption. Following the final session, I was finally able to relax and join my fellow conference delegates on the canals of Aveiro, aboard a traditional and colourful moliceiro boat in the early September sunshine. We were also lucky to spend the following day exploring the steep cobbled streets of Porto, taking in the spectacular Unesco World Heritage riverscape views whilst sampling the local hospitality at a riverside cafe. And a trip to Porto wouldn’t be complete without sampling the port, so we visited a small port producer on the south bank of the River Douro and learned about the production process before tasting a few different varieties.